If you are looking for a quick, easy-to-use and safe tool to migrate your files from your CCM library in IBM Connections into the IBM Connections library then the Kudos Tools - CCM Migrator is the tool you are looking for. We see that some customers are moving away from CCM and need a way to safely and fast take care of the files stored in the CCM library. The reason for migrating the files from CCM could be upgrading IBM Connections or simply lower the total license cost by removing CCM in total from the platform. 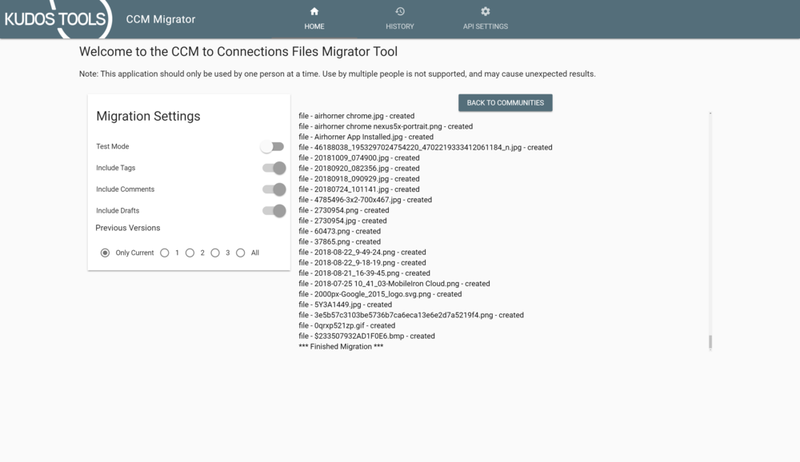 Either if you are in a big migration project to remove CCM or just want to migrate a couple of libraries here and there, Kudos Tools - CCM Migrator is the way to go when you want to have a flexibility regarding your files in IBM Connections. Contact us at sales@kudosapps.com to know more! It is a safe assumption that your company has quite a few communities in IBM Connections. Many users create communities on a regular basis for projects, team tasks and other functions in the line of the business. After a couple of years use of IBM Connections we see that the number of communities can be quite high and it can be hard to get an overview. With Kudos Tools - CCM Migrator we create a list all communities in your IBM Connections environment and specify whether they have a CCM library and/or a IBM Connections library. Once the list of communities is created you can easily choose which libraries you want to migrate. Very flexible and easy. Sometimes the meta data on each file is very important to be able to continue working with the file in the new library. If the users has added tags or comments you can choose to keep it on the file at the migration. We have also added the possibility to keep different versions of a file if that exists. All to make the user experience as seamless as possible. did you remember to keep the meta data of the file? Sometimes the meta data on each file is very important to be able to continue working with the file in the new library. If the users has added tags or comments you can choose to keep it on the file at the migration. We have also added the possibility to keep different versions of a file if that exists. All to make the user experience as seamless as possible. Safety glasses on! Sometimes it feels good to double check what is actually going to happen before executing a task. Make sure you have the Test Mode enabled and you will be able to see the result of the migration before you actually .click “go”. 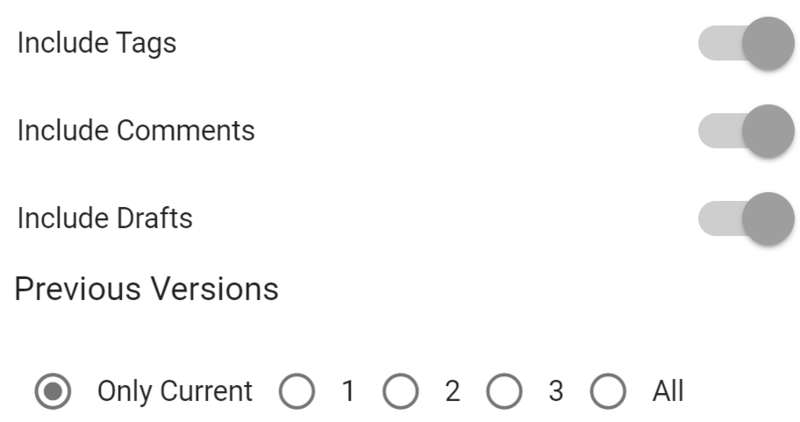 Maybe you forgot to add the comments on the files, or you just wanted to see all files in the community. Once all looks good, disable the Test Mode and migrate for real! Once you have migrated a library you will see a list of all files migrated and what has happened with them. Full transparency and simplicity. Keep the timeline of your migration project with Kudos Tools - CCM Migrator"!